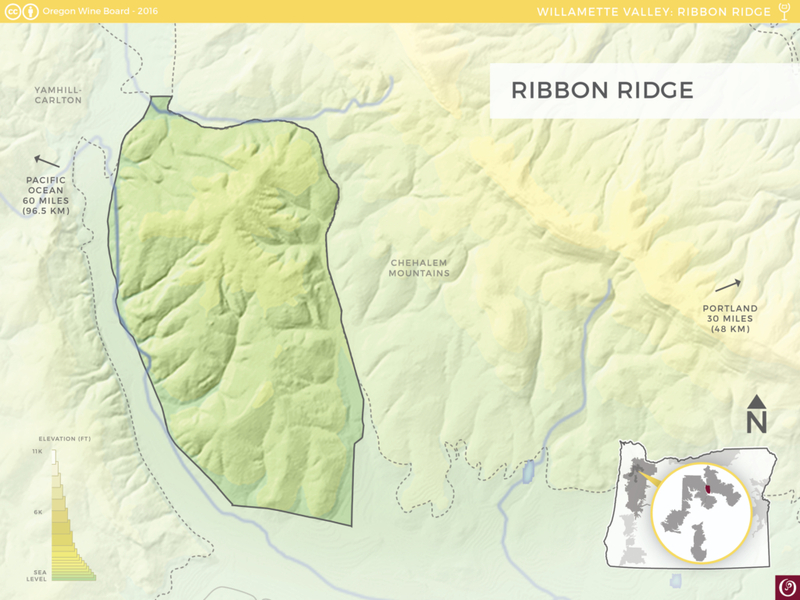 Ribbon Ridge is a 6.1 mi2 (15.8 km2) ridge within the Chehalem Mountains AVA, located 22 miles (35 km) southwest of Portland and 40 miles (64 km) east of the Pacific Ocean. The ridge rises 683 feet (208 m) from the Chehalem Valley floor, giving it an island-like appearance. 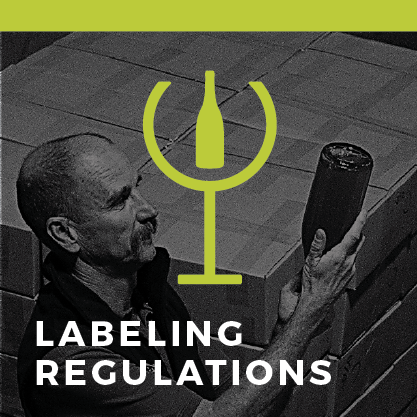 Protected by geographical features to the north, south and west, Ribbon Ridge’s grapegrowing hillsides are slightly warmer and drier when compared to the adjacent valley floors. The Ribbon Ridge region is comprised primarily of the Willakenzie series of sedimentary soil. Willakenzie is a younger, finer and more uniform soil series than the sedimentary and volcanic soils of neighboring regions. It is moderately deep and well-drained, making it ideal for growing high-quality wine grapes and results in Pinot noirs with rose petal, dark cherry, earthiness and spice complexity. 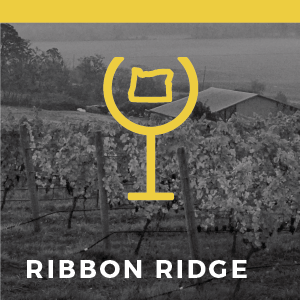 In 1980, Harry Peterson-Nedry planted the first wine grapes on Ribbon Ridge at his Ridgecrest Vineyards. 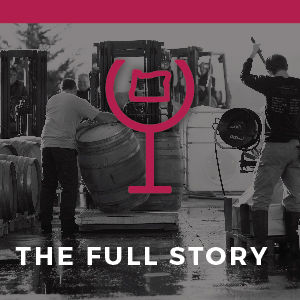 Two years later, the first commercial vineyard was established with the planting of 54 acres of Pinot noir and Chardonnay, and Yamhill Valley Vineyards first used these grapes to make wine in 1985. Other vineyards were soon planted in this relatively small ridge. The appellation became official in 2005.